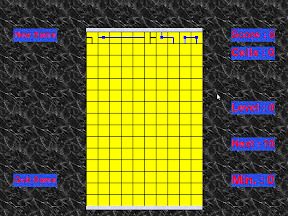 Netblocks is a FOSS game developped in python with the pygame hardware abstraction layer. Like in Tetris, it's not possible to win. So play until you lose. You lose when one of the columns fills. You are presented a board with cells. Cells can be empty : , contain only wires : or contain wires and a blue "source" : . To remove cells, you have to connect them with a source. Higher levels require you to connect more cells before being allowed to remove them. From time to time, a new wave of random cells appears.